One of the first things people see when they arrive at your home is your lawn. A lush green lawn is a great asset to your home. Quality Sod & Landscape Solutions can replace or re-sod your lawn. We can renovate your entire yard or re-sod bare areas throughout your yard. ​Whether you need residential or commercial sod installation, we do it all. We ensure that the correct sod is used, providing a functional and attractive outdoor space. Not only does the type of sod play an important role in how your landscaping looks, your intended use will determine which sod type is best for your home or commercial project. Not only will Quality Sod & Landscape Solutions help you determine which type of sod is best for you, we will properly install it, ensuring a beautiful outdoor space for years to come. At Quality Sod & Landscape Solutions, we install only Class “A” sod. Whether you need Bermuda grass, Bahia, Empire Zoysia, or one of three St. Augustine grasses; Floratam, Seville or Palmetto, we have the sod you want. We pride ourselves on providing the highest quality sod available. Our knowledgeable professional team members will expertly install your sod, and provide prompt courteous service. Our job does not end once your sod is installed. We will advise you on the proper care and maintenance of your beautiful new lawn. 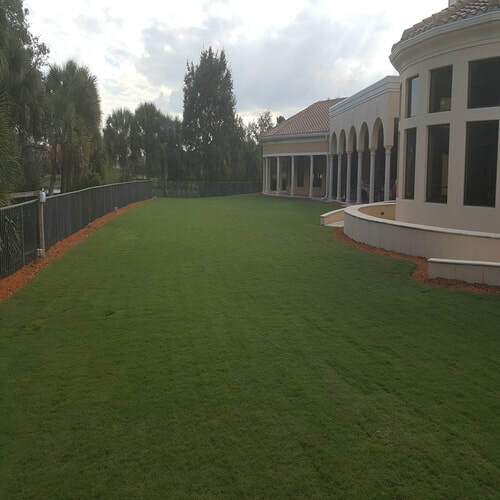 Call Quality Sod and Landscape Solutions today at 352-593-5830, or fill out our convenient form for your free estimate or pricing questions. We are here to help with all of your outdoor servicing needs. will require more durable sod. Our sales staff will gladly help you in choosing the best sod for your lawn. areas already prepared for sod. our equipment on your lawn. Remove the dead plant material killed in step 2 with a sod cutter and rake into piles to be picked up and removed from the property. Rake the areas to be sodded smooth for a level grade. We can bring fill dirt and remove dirt to create a new grade upon request. Lay fresh sod within 24 hrs of harvest with minimal seams. 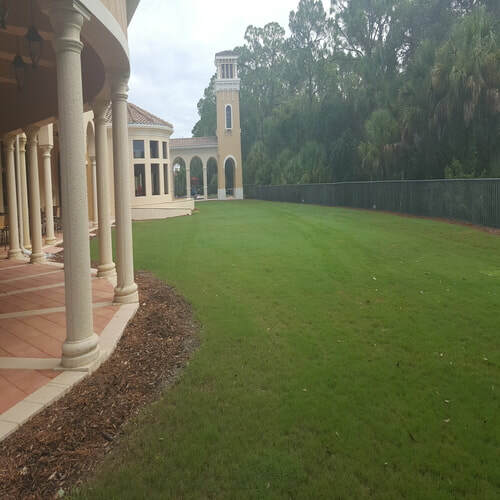 All of our St. Augustine grasses are a muck based sod (higher quality). All new grass has a small visible seam when they lay against each other, this will grow together within 30 days during growing season. Check all irrigation by turning on the system to make sure everything is in working order. If it’s broke, we fix it. Completely clean off all driveways, walkways, curbing, etc. ENJOY YOUR BEAUTIFUL NEW LAWN!!! A manager will give you tips on caring for your new lawn so it will flourish.